One of my goals for this blog is to do a better job of incorporating motherhood into more of my posts. This blog will always be composed mainly of beauty and fashion, however, being a new mom is such a huge part of my life that I feel I’d be holding back if I didn’t at least share some of my motherhood experiences. With that being said, I figured I’d kick off my motherhood series with a post featuring some of the many items I’ve come to rely on these last 10 months. I wanted to keep this list relatively short, but trust me there are many items I could have listed as well. 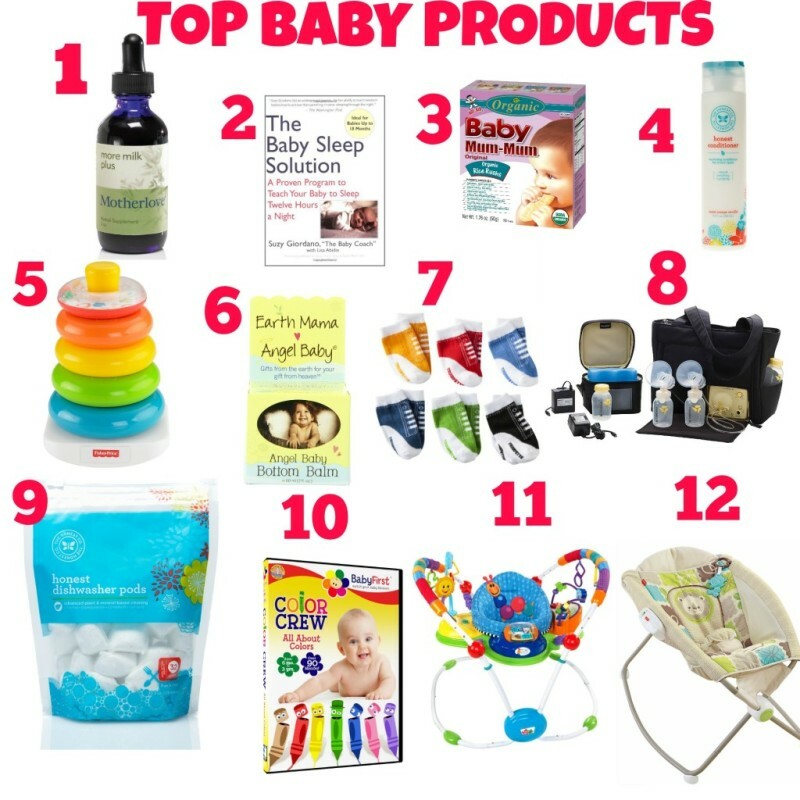 Without further ado, I bring you my list of top baby products. Mother Love More Milk Plus. As a full-time working and nursing mom, this concentrated formula consisting of herbs such as fenugreek and blessed thistle. Be warned, though, this stuff is B-I-T-T-E-R. but it does work. The Baby Sleep Solution: A Proven Program to Teach Your Baby to Sleep Twelve Hours a Night. For the first 8 months of his life, my son woke up every 2 hours to nurse. I read this book in one hour, and had my son sleeping 10 hours straight 2 days later. This, after we had cried the cry it out method at least 5 times. We’ve had to make some adjustments to what this book suggests, but he’s sleeping much better and is all around a happier baby. BUY THIS BOOK! Organic Baby Mum Mum. These little rice crackers bring my son so much joy. They instantly soothe him and they’re healthy. They come in a variety of flavors, but since I am that mom, I only give him the organic ones. Honest Company Conditioner. I realized pretty early on that coconut oil wasn’t enough to keep my son’s fine curly hair moisturized and tangle free. I tried a few different conditioners and detanglers, but this one is by far my favorite. It’s all natural and smells like a creamsicle! I even use it on my own hair. The honest company also sells a detangler that is just as amazing. Try both and you won’t be disappointed. I promise. Fisher-Price Brilliant Basics Rock-a-Stack: This toy looks so basic and old school, but my son love love loves it. Earth Mama Angel Baby Bottom Balm: This stuff is on the pricey side, but a little goes a long way. And as long as I’ve used it my son has never had a diaper rash. Also, it’s all natural with a strong lavender scent, so it’s very soothing. I sometimes use to rub baby down right before bedtime. Trumpette Socks: When your baby discovers his feet it’s super cute, but when he discovers that he can rip his socks off with a simple tug it’s not so cute. I can’t count how many mismatched socks I have in Jackson Blaise’s sock drawer. The only ones that aren’t mismatched are the ones made by Trumpette. These socks stay on those piggies no matter how hard they tug. Medela Pump in Style Advanced Breast Pump with On the Go Tote : This pump right here is worth every single penny. Most insurance companies will give you a pump, and it’s most likely not this one. Pay whatever additional $$ you have to pay and don’t leave the hospital without it. It works quickly, efficiently, and comes with all the great stuff pictured here. Perfect for working moms. Honest Company Dishawasher Pods. I really can’t say anything bad about this company. I use quite a few of their products, but this one is high on my list of must haves, especially for working moms. I’ve tried the BabyGanics dishwashing detergant and it’s okay, but nothing cleans my son’s bottles as well as my pots and pans like these dishwasher pods. They are also 100% natural, so you can feel safe using it to clean/sanitize your baby’s bottles. Baby First TV-Color Crew: Okay, you’re gonna judge me here, but I have to include this show on my list of must haves. We all know kids under two shouldn’t watch TV for all the obvious reasons, however, sometimes you just need a babysitter for 20 minutes, and this right here will give you those 20 minutes. For whatever reason, my son loves this show, as well as a few others made by the Baby First TV network. If you have on demand TV you can access this channel through her cable network (Verizon FIOS doesn’t offer this channel), OR you can access it via Netflix or Amazon Prime TV. If you aren’t an amazon prime member, sign up Here. Baby Einstein Musical Motion Activity Jumper: This jumper is bright, fun, and super entertaining. My son has a ball whenever we place him in, AND it speaks to baby in English, Spanish, and French. Fisher Price Rock n’ Play Sleeper: My son slept in this thing for the first 8 months of his life, and really, he could still take naps in it if I wanted him to. Much of what we get from our registries are only good for a month or two, but it’s great to have something that can be used for baby’s first year. This was particularly useful for the co-sleeping I did for much of the first 6 months. And at about $50 it’s a great value. The items listed below are also great and get much use in our household. I didn’t want to make my list super long or overwhelming for new moms so I didn’t include them above, but they are great too. Circo clothing- Sold in Target, this line is a great value. The sizing runs big (which is what you want), the prices are cheap, and they have cute and fun separates. Target routinely has this line on sale, and you can snag great clothes for play or daycare for about $2 a piece. Joovy Room² Portable Playard, Black: We have three play yards. One is Fisher price, the other is Graco, and neither of them compare to the Joovy Room. First off, it’s huge, so there is lots of a room for baby to get around, but miraculously, it doesn’t take up alot of space in our small one bedroom apartment. Aslo, it’s comfortable with a washable sheet. It’s easy to put together and take apart. We plan to take it along with us to Cape this summer when we go for a week. I’m not sure why more people don’t know about this playyard, but it was a great purchase and it will get at least another year of use out of us. Shea Moisture Raw Shea Butter Baby Head-to-Toe Ointment – 4 oz– Another great all natural skin ointment/protector/moisturizer for baby. Lavender Oil– a few drops of this stuff in baby’s bath or night-time rub ( mixed with lotion or coconut oil) and you have a much calmed child. You only need a drop or two because it’s strong. but it works. This is a growing list, so if you have any additional items you think I should add mention them in the comments section! I’ll update the list regularly. « Spring Outfit Idea-Fashion a La Mode Link-up Party! good list. I’m trying to think of the things I found essential for my newborn and I can’t think of many other than diapers. We eventually used cloth diapers, but started off with Huggies and nooooo! They leaked so badly. I’d advise a different kind. Oh, a good swaddler was helpful. When Neriah was little she use to feast on baby mum mum and so did I LOL tasteless but such a good snack for baby. Looking at this list makes me want to have another one. I need to buy a couple more play yards. I love the California Baby Calendula cream. It’s especially good for dry skin or eczema. Have you tried it? My toddler had bad baby acne when he was about a month old. I did some research on different products that would be good for healing it and I kid you not his face immediately started clearing up with a couple hours and in the morning it was gone. I was shocked. I use it myself every now and then. It’s expensive so I only use it when I really need it. Also the Johnson and Johnson Lavender Body wash is great. My toddler loves it. I use it right before his bedtime. He loves it and it puts him to sleep fast! 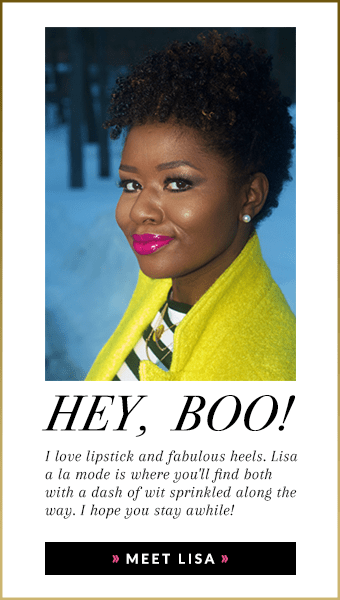 I always wanted to try the Shea Moisture Head to Toe Treatment. Great List. I am gonna check out that book too! I haven’t tried California Baby Calendula cream but i have heard great things about the brand. I will put it on my list of must-buys. You know, I I did get some of that Johgnson’s bedtime stuff, but then I smelled what real lavender oil smells like and didn’t smell anything like the johnson and johnson’s bedtime body wash, lol. So i just use a few drops of lavender oil in his bedtime bath. Lavender oil is amazing! Sooooo soothing. What no buttpaste or monkeybutt? so many more items i could have added, but this was all that came to mind. Also, my son never had diaper rash, so I didn’t need buttpaste.